This Larry Collection was released in 2006 along with other adventure game collections, in order to offer them in compatibility with XP. Unfortunately this collection left many fans disappointed. 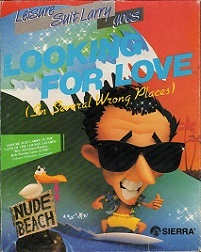 Several titles were missing, including the original Leisure Suite Larry 1, and Love for Sail. 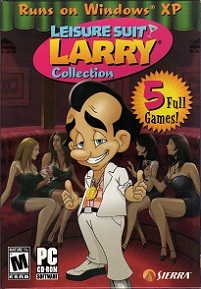 Also the Leisure Suit Larry 6 in this collection is the one without speech (while the version with speech was created over a decade earlier). In fact, with exception of the triple pack from 1990, all other Leisure Suite collections offer more than this collection does.